Singapore and Hong Kong recently revived the discussion on dual-class share (“DCS”) structures in order to accommodate listing of new economy companies in industries such as information technology and life sciences. Singapore is considering a proper framework for listings of companies with DCS structures. The underlying current of the discussion on the DCS structures revolves around the competitiveness of the capital markets of the relevant countries and safeguards which must be in place to mitigate the potential negative side effects of the DCS structures. A DCS structure is a governance structure that gives certain shareholders voting power disproportionate to their shareholding. Shares in one class carry one vote (“OV shares”), while shares in another class carry multiple votes (“MV shares”). A DCS structure creates a distinct type of company that permits owner managers to retain majority voting control while allowing investors to share an economic stake in the company. However, the concentration of control in owner managers of a company with a DCS structure carries entrenchment risks and expropriation risks. Entrenchment risks arise when owner managers become entrenched in management of the company; expropriation risks arise where owner managers seek to extract excessive private benefits from the company, to the detriment of minority shareholders. In the United States of America (“USA”), DCS structures were first utilised in media companies as a means to protect the journalistic integrity of the news. The use of DCS structures became a common practice in the 1980s – for the purposes of fending off hostile take-overs – and expanded beyond the media industry. Presently, NASDAQ, the New York Stock Exchange (“NYSE”), and American Stock Exchange each permit listings by companies with DCS structures as long as the DCS structure is in place at the time of the initial public offering (“IPO”). The current growth of companies with DCS structures is stimulated by high-tech and social media companies, especially those managed by powerful, vision-driven Chief Executive Officers (“the “CEOs”). Institutional investors play a significant role in the American securities market and they have generally shown a distaste for DCS structures. However, institutional investors still invest in companies with DCS structures because a company’s shareholder voting structure is a relatively low priority concern for institutional investors at the IPO stage. In Germany and other countries in Europe, such as Italy and France, DCS structures are often used by family-owned companies, or companies that have family-like structure to raise capital. The DCS structure is attractive for founding families that have invested significant amount of time, energy and funding into the companies but do not want to give controlling power to unknown foreign investors after going public. The DCS structure in Germany takes the form of a share class with one vote per share and another share class with zero vote per share (i.e. preference shares). The holder of the shares with no voting power (the “Preference Shareholders”) will enjoy a preference or priority dividend payment. If the company fails to pay the preference or priority dividend, the Preference Shareholders may assert their rights to vote. If asserted, the Preference Shareholders’ voting power remains in place until the company fulfil its duties. In Hong Kong, although DCS structures are permitted under Hong Kong company law, the “one share, one vote” principle is still regarded as the default principle – there is no clearer illustration of this than the fact that a company is not permitted to list on the Stock Exchange of Hong Kong Limited (the “HKEx”) with shares that have a voting power that does not bear a reasonable relationship to the equity interest of those shares, thereby effectively banning the DCS structure. HKEx did not allow Alibaba to adopt the DCS structure in its proposed IPO in 2014 and Alibaba then decided to list on the NYSE. In August 2014, HKEx had a public consultation on whether DCS structures should be permitted and HKEx concluded in June 2015 that there was sufficient support to conduct a second stage consultation on acceptable structures and put forward a draft proposal in relation to the listing of companies with DCS structures. However, the Securities and Futures Commission of Hong Kong (the “HK SFC”) did not support the draft proposal. In October 2015, HKEx decided that it would not proceed with the draft proposal in light of the HK SFC’s opposition. In Singapore, the Singapore Exchange Securities Trading Limited (the “SGX”) first considered DCS structures in 2012 during the proposed listing of Manchester United. SGX decided to uphold the “one share, one vote” principle then, citing corporate governance concerns related to the entrenchment of control and the difficulty of getting a fair valuation of the two classes of shares in a take-over situation. Manchester United ended up listing on the NYSE. In 2014, the Singapore Companies Act was amended to facilitate DCS structure for public companies pursuant to Companies (Amendment) Act 2014. The amendments, which took effect in January 2016, removed the “one share, one vote” restriction for public companies and allow public companies to issue shares of different classes that confer special, limited, conditional voting rights or no voting rights, subject to certain conditions being met. While the listing rules of the SGX do not expressly prohibit DCS structures, the existing provisions are predicated on each share conferring only one vote. SGX referred the matter to the Listings Advisory Committee (“LAC”) for advice. After careful consideration, the LAC advised in mid-2016 that it was in favour of permitting companies with DCS structures to list on the SGX, subject to appropriate safeguards to address the entrenchment risk and the expropriation risk. The safeguards recommended by the LAC are, inter alia, (i) a maximum voting differential of 10:1; (ii) prohibition of post-listing issuance of MV shares, with an exception for rights issues which would not increase the shareholding proportion between the MV and OV shares; (iii) auto-conversion of an owner manager’s MV shares into OV shares upon (a) sale or transfer of MV shares unless to permitted holders; or (b) the owner manager ceasing to hold his or her role as either executive chairman or chief executive officer of the company; (iv) requiring the board of directors and board committees to comply with the Code of Corporate Governance’s recommendations relating to independence of board and board committees on a mandatory, instead of a comply-or-explain, basis; and (v) restricting MV shares to having voting power of one vote per MV share when voting on election of independent directors. In February 2017, Singapore’s Committee on Future Economy recommended that DCS structures should be permitted for companies seeking a listing on the SGX while instituting appropriate safeguards to promote market transparency and mitigate governance risks. In the same month, SGX released a consultation paper seeking responses to a possible admission criteria for companies with DCS structures (please refer to our March 2017 article titled “SGX issues Consultation Paper for a Possible Listing Framework for Dual Class Share Structures” in our Client update section for a brief description of the proposed listing framework for companies with DCS structures). In June 2017, HKex launched a public consultation on establishing a new board which would address two principle issues: pre-profit companies and companies with DCS structures. In October 2017, the South China Morning Post (the “SCMP”) reported that the HK SFC had backed away from its previous position of the “one share, one vote” principle. SCMP also reported that HK SFC’s U-turn has paved the way for a pilot scheme to be launched in 2018, whereby certain start-ups that have attained unicorn status (i.e. valuations exceeding US$1 billion) will be allowed to raise capital on the main board of the HKEx through IPOs utilising DCS structures, if they put in place sufficient investor protection provisions. In July 2017, the SGX clarified that companies with DCS structures, which are primarily listed on any of the 22 markets the international index-providers FTSE and MSCI classify as developed markets, can seek a secondary listing on the SGX. For such companies, SGX will not impose additional post-listing conditions except a requirement that the companies make continuous disclosures via SGXNet of all announcements made to their home exchanges. On 30 November 2017, the Singapore Business Times reported that the CEO of HKEx, Charles Li, had voiced his support of the DCS structures because he was of the view that allowing DCS structures would provide choices for the market and that the success of companies was not merely determined by their governance structure. It was also reported that HKEx was close to announcing the conclusion of its public consultation to accommodate DCS structures. On 15 December 2017, Reuters reported that HKEx had begun drafting specific rule changes in relation to DCS structures that will be put up for public consultation in the first three months of 2018. HKEx also said that “a large majority” of the 360 responses it received to its public consultation in June 2017 were supportive of permitting DCS structures. On 20 December 2017, the SCMP reported that the Chairman of HK SFC, Carlson Tong Ka-shing, said that HK SFC recognised the competitive pressures that Hong Kong faces in attracting listings by new economy companies and he thereby supported the HKEx proposed listing reform that would allow companies with DCS structures to list on HKEx. On 20 January 2018, SGX announced that it will be allowing companies with DCS structures to have their primary listings in Singapore. The CEO of SGX, Loh Boon Chye told a briefing that the first listing of a company with a DCS structure will come soon after June 2018. The aim of this move is to attract hot tech listings. The CEO of the SGX RegCo, Tan Boon Gin also said that SGX will publish a response to a consultation on DCS structures, with key features on the framework that SGX will adopt. Mr Tan said that the majority of respondents to the SGX consultation supported implementing a DCS structure, and that the final shape of the SGX framework will be driven by market feedback. This is yet another positive move by SGX to attract more listings. The case for going public for owner founders can become more compelling, whilst concurrently balancing and safeguarding the interests of minority shareholders and investors. Sufficient safeguards can be built in during the listing process and further strengthened as a post listing rule. One of the major criticisms directed towards the adoption of DCS structures by public-listed companies in Singapore is that even if DCS structures work in the USA or other markets, such structures may not work in Singapore, given the differences between those markets and the Singapore legal and institutional environment, and approach to corporate governances. For example, in the USA, controlling shareholders owe a fiduciary duty to the company and other shareholders. This provides minority shareholders in the USA with far more extensive protection against abusive actions by the controlling shareholders than what is provided under Section 216 of the Singapore Companies Act dealing with the oppression of minority shareholders. Further, the contingency fee-based class action system in the USA gives minority shareholders a viable means for taking action to seek redress against wrongdoing by the controlling shareholders. Although the Singapore Companies Act now allows shareholders of listed Singapore-incorporated companies to commence statutory derivative actions, in addition to enhancements to the listing enforcement framework of the SGX via the introduction of the independent Listings Disciplinary Committee and Listings Appeals Committee, the adoption of DCS structures may require further amendments to the existing legal framework governing public-listed companies. One of the proposed safeguards in the SGX’s proposed listing framework for DCS structures is to make certain recommendations in the Singapore’s Code of Corporate Governance relating to the board composition mandatory for a company with a DCS structure. Any feedback relating to the suitable board composition for a company with a DCS structure may likewise have impact on the CG Code and may require the same to be amended. In the SGX’s proposed listing framework for DCS structures, it was proposed that in a take-over situation, the owner manager’s MV shares to be sold to the takeover offeror will automatically be converted into OV shares and lose their multiple voting rights upon acceptance of the take-over offer. Further, it was also proposed that shareholders be given the power to waive the automatic conversion requirement through an enhanced voting process, whereby one MV shares will be limited to only one vote. Another safeguard proposed by the SGX is to require a coat-tail provision in a take-over situation. The purpose of a coat-tail provision is to ensure that holders of OV shares will participate in a take-over offer on an equal footing with the holders of MV shares. 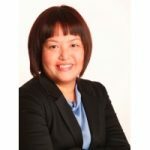 SGX has stated that the interaction between a coat-tail provision and an automatic conversion provision will also need to be considered and the implementation of the proposed safeguards may require further consultation with the Securities Industry Council to ensure that potential issues are addressed. The constitution of the company to be listed must also allow the directors to issue multiple classes of shares with different rights attaching to them. Therefore, if the constitution of the company is silent or does not allow issuance of multiple class shares, such constitution ought to be amended in an extraordinary general meeting of the company to allow issuance of multiple class shares. Further, the constitution must also set out in respect of each class of shares the rights attached to that class of shares. The information above relates to current state of DCS structures discussion in Singapore. Each corporate transaction is unique and will involve nuances that require different solutions. Having had experiences in advising Singapore companies on their IPOs, we are able to provide clients with practical legal solutions tailored specifically to their businesses’ requirements. Please feel free to contact us if you wish to know more about IPOs, DCS structures or explore other areas in which we may be of service to your business needs. Regulator’s U-turn paves way for dual-class companies to raise funds in Hong Kong in pilot plan: <http://www.scmp.com/business/companies/article/2117159/regulators-u-turn-paves-way-dual-class-companies-raise-funds-hong> last accessed on 17 January 2018. Hong Kong to push ahead with controversial dual-class shares: <https://www.reuters.com/article/us-hkex-regulation/hong-kong-to-push-ahead-with-controversial-dual-class-shares-idUSKBN1E90UR> last accessed on 17 January 2018. Securities commission backs introduction of dual-class shares on Hong Kong stock exchange: <http://www.scmp.com/business/companies/article/2124972/securities-commission-backs-introduction-dual-class-shares-hong> last accessed on 17 January 2018. SGX introducing dual-class shares: <http://www.straitstimes.com/business/companies-markets/sgx-introducing-dual-class-shares> last accessed on 23 January 2018. Have a question on dual-class share structure? If you have any question on the dual-class share, you can contact Gwendolyn Gn. Alternatively, you can also get a Quick Consult and expect a call back within 1-2 days on the phone to get legal advice and have your questions answered. This article is written by Gwendolyn Gn from Shook Lin & Bok LLP. Gwendolyn Gn's principal areas of practice are corporate finance and regional mergers & acquisitions. She has extensive experience in IPOs (Main Board and Catalist as well as dual listings) and debt/bond listings for local and international corporations.